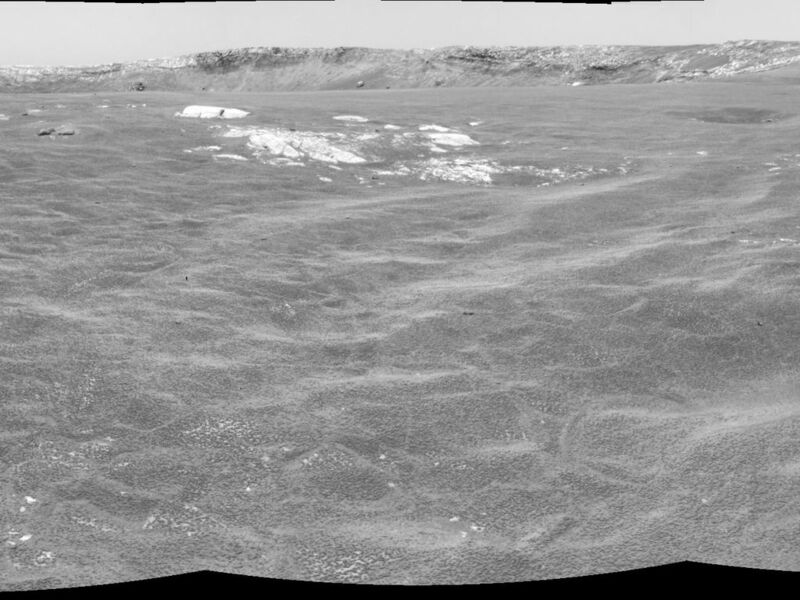 Space Images | Almost There! This cylindrical projection was constructed from a sequence of three images taken by the navigation camera on the Mars Exploration Rover Opportunity. 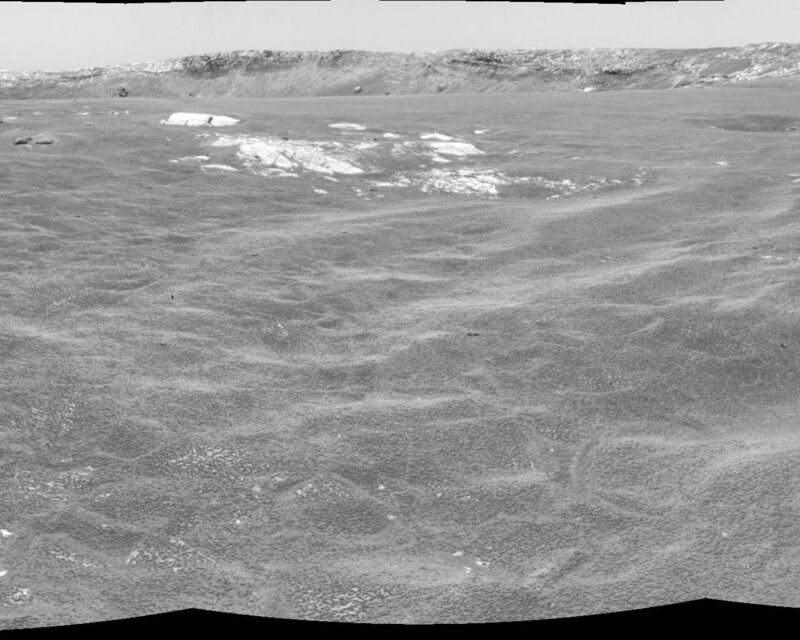 The images were acquired on sol 94 (April 29, 2004) of Opportunity's mission to Meridiani Planum. The camera acquired the images at approximately 12:40 local solar time, or around 9:15 a.m. Pacific Daylight Time. 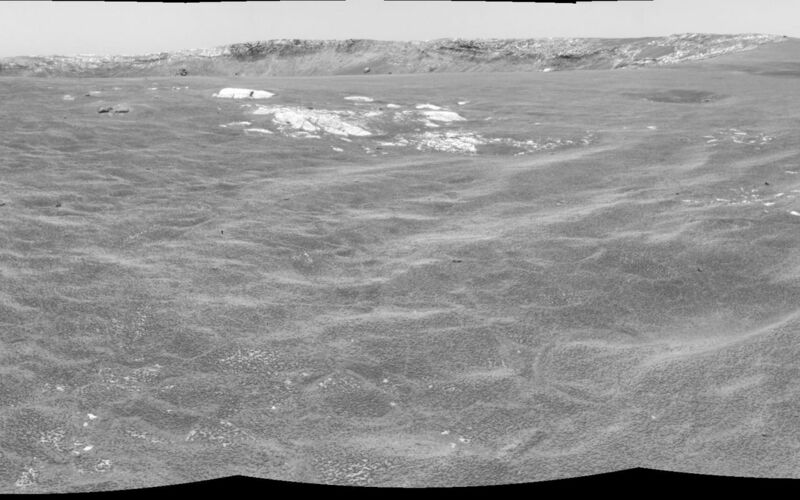 The images were taken from the rover's new location about 20 meters (65 feet) away from the rim of Opportunity's next target, "Endurance Crater."